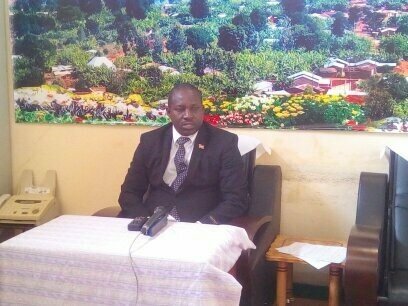 RUYIGI January 14th (ABP) – Ruyigi province has responded to the Burundi government’s call for the contribution to the 2020 elections. In an interview with the check by Burundi News Agency (ABP), the governor of Ruyigi, Elie Bashingwa, said that the collection process is only 30 percent. He regrets that the collection of that contribution is not progressing well. He noted that there are some obstacles to the smooth collection of that contribution. He noted the fact that, from the distribution of the receipt notebooks in the villages, some village leaders did not immediately start the collection.Governor Bashingwa said the collection of those contributions began in early July. Of the 310,000,000 Burundian francs expected throughout the Ruyigi province, only 30 percent is already available. Some others collected in due form but did not send the money to their final destination and would have used the money in their own business. Governor Bashingwa stresses that measures have been taken to punish those failing tax collectors. Correspondence has already been sent to the communal administrators to enforce the sanctions taken. For the leaders of villages and quarters, who receive wages (the heads of lists in the village administration), their salary will be blocked until the total liquidation of the sum that has been taken. For deputy village leaders who have no salary and who have not yet paid the amount collected, the files are being prepared and will be sent to the competent courts for follow-up. He regrets that the local administration has not yet gotten involved properly. Sensitization is underway so that local administrative officials get more involved and wink at everyone to participate in this citizen act.